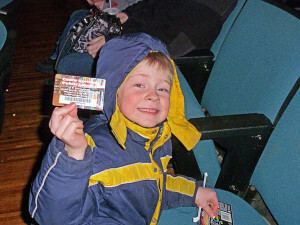 Tag Archive | "Library Card Roundup"
Almost 250 first-graders were at the Kent Theatre Monday and Tuesday to celebrate March is Reading month and their brand new library cards. The Cedar Springs Public Library launched its 16th Annual First Grade Library Card Roundup last month, in partnership with the Kent District Library, Cedar Trails, Creative Technologies Academy, and Algoma Christian School. “The program is largely successful due to the classroom visits by Children’s parapros Shannon Vanderhyde, of Cedar Springs Library, and Sara Magnusen, of KDL, and the great cooperation and support by each first grade classroom teacher,” said Cedar Springs Library Director Donna Clark. First graders and their families were invited to celebrate “March is Reading Month” by getting a library card and thereby gaining access to hundreds of thousands of books and other materials available at the 81 libraries and branch libraries in the 8 counties served by the Lakeland Library Cooperative. 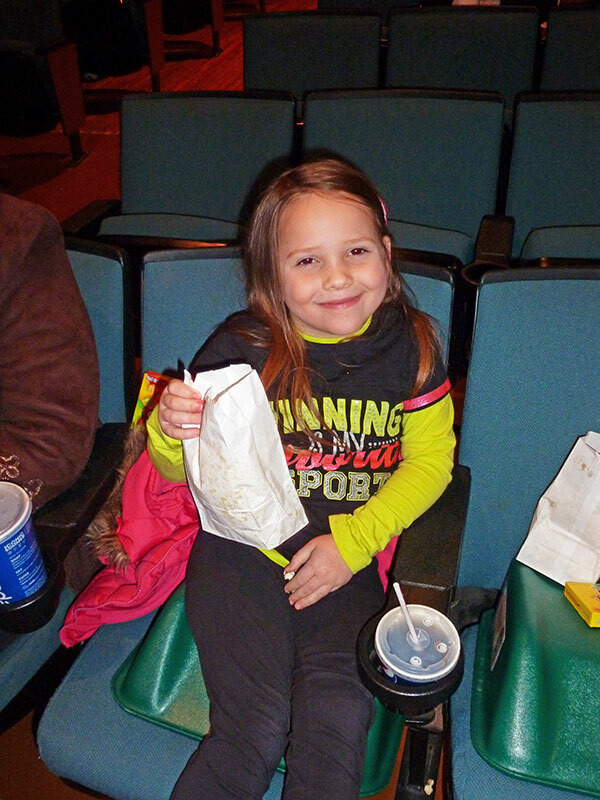 Free movie passes to see “Nut Job” at the Kent Theatre were issued to all 320 first graders, paid for by the Cedar Springs Public Library via a grant from a local Cedar Springs sponsor. Students showing a library card also got a free popcorn to eat during the show, compliments of the Kent Theatre. About 246 came to the movie and almost every single child/family had a library card. The library card program was originated in 1998 by Mike Metzger, a former library board member.